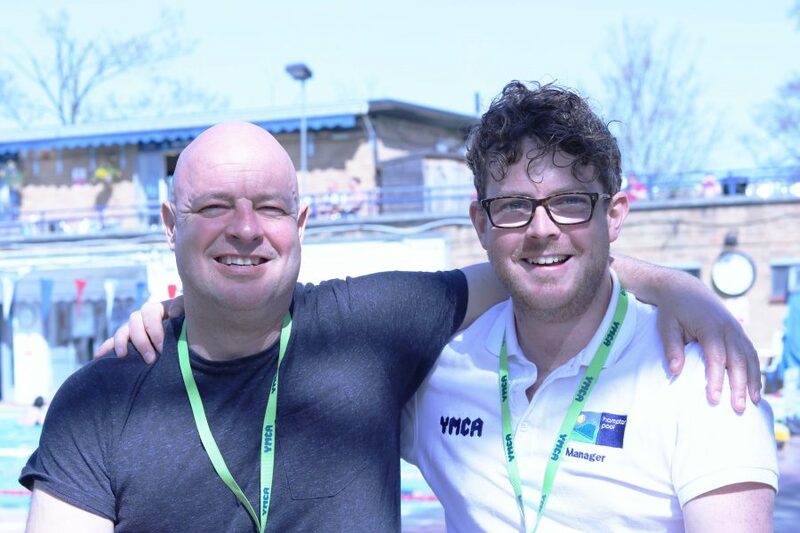 Two of our staff at Hampton Pool are taking part in the Virgin London Marathon this Sunday, and are running alongside John Starbrook, aged 87, who swims regularly at the pool and plays water polo on a Sunday evening. He is the oldest runner in 2018 and this is his 32nd marathon. Area Health & Wellbeing Manager Richard Mason, 54 is gearing up for the big event and although not as much an expert at the London Marathon as John, this is his fifth time. Mickey Lewis, 28, Deputy Manager of Hampton Pool is running for the first time. Richard has competed in Iron Man challenges in the past and his training for this year’s London Marathon is going well. But no runner ever feels they are completely ready. “I think all the people on the start line will wish they had done more training. I have had a couple of old injuries I have had to manage in the last couple of months. I’m hoping to do it in under 5 hours,” says Richard. Mickey and Richard are lucky to work at such an idyllic place, as it means then can swim in the pool to keep fit and their favourite training runs are around Busy Park and along the towpath.